Airmen from the 355th Civil Engineer Squadron’s Explosive Ordnance Disposal flight prepare to neutralize an improvised explosive device during the Raven’s Challenge XI Interoperability Exercise at Pinal Airpark in Marana, Ariz., March 21, 2017. 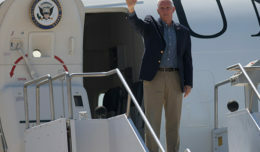 The exercise consisted of identifying and eliminating IEDs found in a number of locations such as the cargo hold of a large aircraft, a mortar production facility and the property of an individual in federal custody. MARANA, Ariz.–Personnel from the 355th Civil Engineer Squadron’s Explosive Ordnance Disposal flight participated in the 2017 Raven’s Challenge XI Interoperability Exercise at Pinal Airpark in Marana, Ariz., March 19-24. The main focus of the exercise was to utilize interagency tactics to counteract improvised explosive devices in realistic stateside and overseas operational scenarios. The teams were tasked with formulating a plan and performing diagnostics with tools such as X-rays and robots. Raven’s Challenge involves EOD teams from the U.S. Air Force, Army, Navy and Marine Corps, including their active duty, reserve, and guard components, as well as state and local bomb squads. 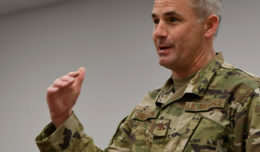 “It’s a great joint-training opportunity for everyone to share tactics, share equipment, share ideas and get some really good realistic training for the state of Arizona’s EOD techs,” said Capt. William Knox, 355th CES EOD flight commander. The exercise provides an organized opportunity to grow and strengthen public safety partnerships between international, state and local jurisdictions for the prevention, protection, mitigation and response to man-made threats the U.S. faces today. Pinal Airpark is a commercial airliner scrapyard, which provides an optimal training environment. 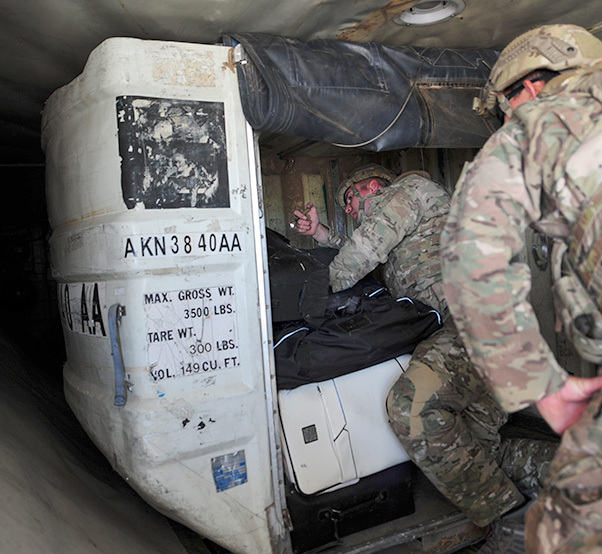 Airmen from the 355th Civil Engineer Squadron’s Explosive Ordnance Disposal flight search for an improvised explosive device in the cargo hold of a large aircraft during the Raven’s Challenge XI Interoperability Exercise at Pinal Airpark in Marana, Ariz., March 21, 2017. The main focus of the exercise was to utilize interagency tactics to counteract IEDs in realistic stateside and overseas operational scenarios. 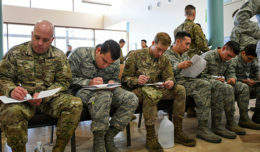 The national training event was led by the Bureau of Alcohol, Tobacco, Firearms and Explosives National Center for Explosives Training and Research, in partnership with the U.S. Army Headquarters. According to Staff Sgt. Richard Weick, 355th CES EOD technician, the exercise consisted of identifying and eliminating IEDs found in a number of locations such as the cargo hold of a large aircraft, a mortar production facility and the property of an individual in federal custody. 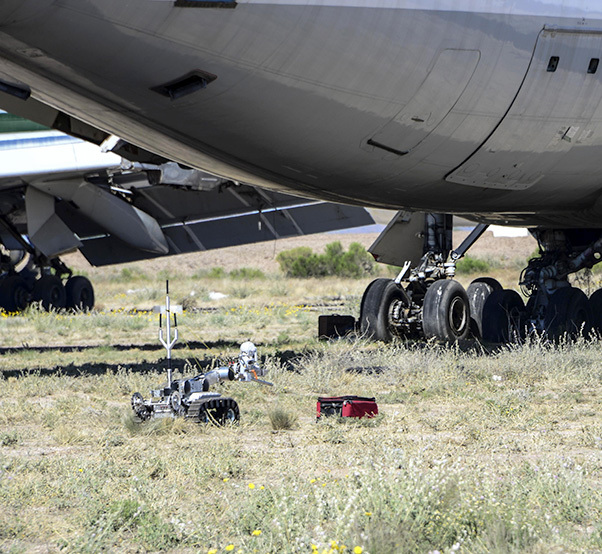 A U.S. Air Force Medium-Sized Robot prepares to approach an improvised explosive device during the Raven’s Challenge XI Interoperability Exercise at Pinal Airpark in Marana, Ariz., March 21, 2017. 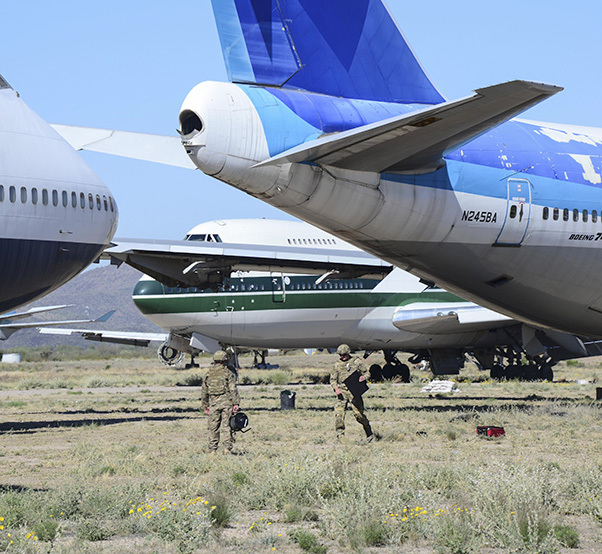 Pinal Airpark is a commercial airliner scrapyard, which provides an optimal military training environment. 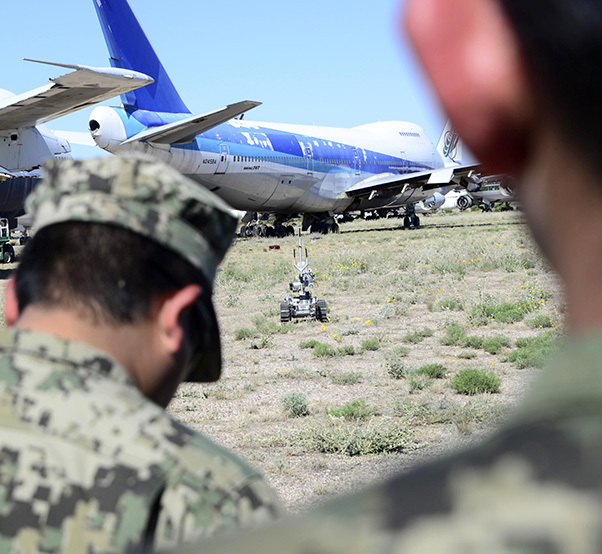 Mexican Navy explosive ordnance disposal technicians observe as a U.S. Air Force Medium-Sized Robot prepares to approach an improvised explosive device during the Raven’s Challenge XI Interoperability Exercise at Pinal Airpark in Marana, Ariz., March 21, 2017. The exercise provides an organized opportunity to grow and strengthen public safety partnerships between international, state and local jurisdictions for the prevention, protection, mitigation and response to man-made threats the U.S. faces today. 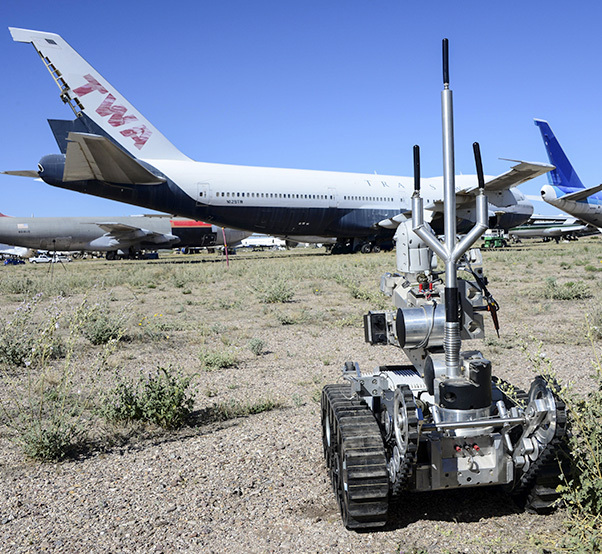 A U.S. Air Force Medium-Sized Robot approaches an improvised explosive device during the Raven’s Challenge XI Interoperability Exercise at Pinal Airpark in Marana, Ariz., March 21, 2017. The main focus of the exercise was to utilize interagency tactics to counteract improvised explosive devices in realistic stateside and overseas operational scenarios.